Experience maximum comfort and productivity with the BBF 72W x 30D Height Adjustable Table Kit in White with Cool Gray Metallic Base. Work more, do more with this flexible ergonomic solution for today's work environments. The durable thermally fused laminate work surface features superior resistance to scratches and stains. Our Height Adjustable Table makes it easy to integrate periods of active standing into your day, without disrupting your work and keeping you productive and healthy. Heights range from 23H sitting to 49H standing, at 1.5 inches per second for a swift lifting speed. No more searching for the perfect height position with one touch of a button, you can select and store four height settings of your choice. Studies show that increased movement creates a positive effect on your wellbeing, so it's time to stand up with a personalized approach to the way you work. The Height Adjustable Table integrates easily with other BBF office furniture for a cohesive workspace and can be used as a Table, Return or Bridge. 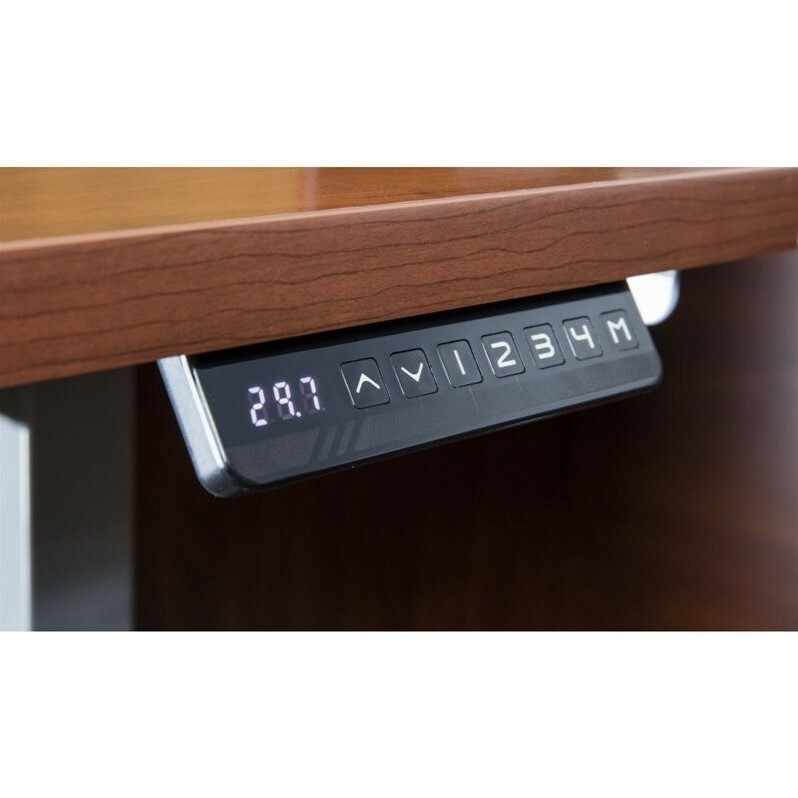 Works well in any setting from home to a private business office or a larger collaborative corporate workplace. Meets ANSI/BIFMA standards for safety and performance in place at time of manufacture and is backed by BBF 5 Year Warranty.